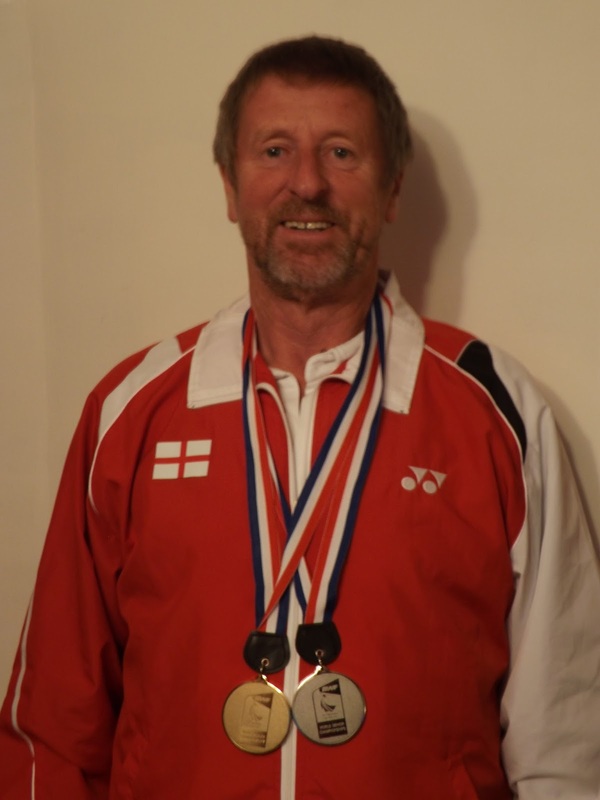 Bob Bell, former Cornwall County and current England Senior badminton player, returned from the recent BWF World Senior Championships held in Helsingborg, Sweden, as World Champion, along with partner Roy Lord of Essex, in the 65+ doubles event. The championships attracted over 1300 competitors from 48 countries with strong teams from across the globe particularly Denmark, Japan, Thailand, India, Indonesia and Germany, although players also represented countries such as Peru and South Africa. Bob and Roy defeated Indian pairing Vidya Arora and Sustril Patet in the final 21-18, 21-8 but faced a sterner test in the semi-finals, beating Per Dabelsteen and Steen Kioerbo from Denmark. The event is biennial and players have to be selected and nominated by their country. 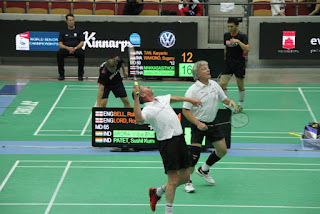 Qualification in England is gained by competing in Masters tournaments staged throughout the year for players 35+. Bob, from Callington, said “the event was fantastic and the facilities 1st class. The tournament was staged on 14 show courts but 21 practice courts were also available. It was great to see so many former World and Olympic champions still competing and enjoying the game at such a high level. I thought that winning Gold in the Europeans three years ago was to be the highlight of my long career but this result tops the lot”. 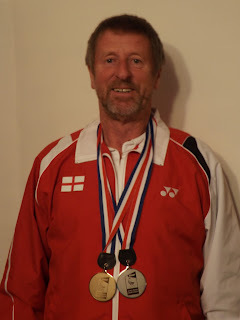 Bob also claimed a Silver Medal in the 65+ Mixed Doubles event with partner Penny Shears from Avon. The next World Seniors Badminton Championships is to be held in Kochi, India in 2017.